Summer can be a time where your energy usage soars. We turn up the air conditioning both day and night, we spend more time at home while the kids are on school holidays and they spend more time inside keeping out of the sun watching TV or chewing up energy on other devices. But, with a little awareness and forward planning, you can better manage your energy use and aim for lower electricity bills. Here are 6 useful tips to help you use less energy once the warmer weather really hits and save more on your energy bills. It feels good to blast the AC after getting home from a workout, time spent outside, or just a generally sweltering summer day. But it probably won’t feel so good later when you see that your utility bills have skyrocketed. On really hot days, set your temperature to around 25 to 26 degrees so it doesn’t have to work so hard to make you cool. During the day, keep your windows closed and the shades down to keep the sun out and try to make your interior as dark as you can stand and as cool as possible. Later in the evening you can open your windows to let the breeze in. 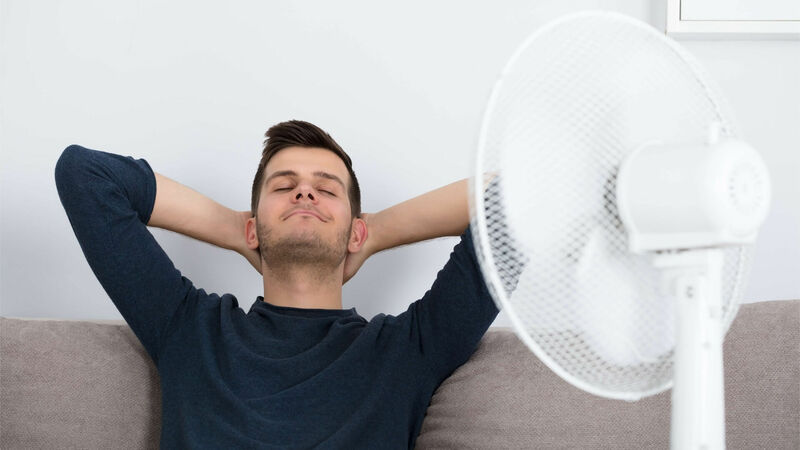 We suggest using fans to help circulate the air more, as they make the temperature in a room feel significantly cooler. With ceiling fans installed in your bedrooms at night, you will be using a fraction of the cost of air conditioning and making bedrooms comfortable enough to sleep in. You can even use fans in conjunction with your air con so you won’t need to have your air con at such a low temperature. Summer is the perfect time to reduce the heat on your shower temperature and use less hot water. You don’t need to use hot water to wash your hands or face and switch over to a cold wash on your washing machine wherever possible. Many non-LED lights actually have incandescent bulbs with generate heat. LED bulbs, on the other hand, operate at a lower wattage and produce only half as much heat making them a much ‘cooler’ option. LED bulbs also use 75% less energy and last 50 times longer than traditional bulbs, saving you money on electricity and replacement costs in the long run. There’s a good reason Aussies love a barbie in the summer time. Trying to cook in a hot, steamy kitchen can be unbearable, especially when it’s hot and steamy outside as well. Kitchens are full of heat-producing appliances: ovens and stoves can raise your kitchen’s temperature significantly. Enjoy the outdoors by using the BBQ instead to keep your interiors cool, eat cold foods or use the microwave instead of the oven if you are limited to cooking inside. For reliable local electricians in Hornsby, The Hills District and surrounds, give us a call on 9477 2550.